Every summer, millions of people in the United States take a road trip. They may go across the state or across the country, stopping at any sites that pique their interest. For many, their highway tour will take them to or through California, the home of Yosemite, the Redwoods, San Francisco Bay, Los Angeles, Napa Valley and many more destinations. If you’re planning on driving along State Route 1 or any of California’s other roads, here are five tips to help you stay safe. When you’re on a road trip, it’s easy to constantly be going — both when you’re on the road and when you’re at an attraction. There are a lot of places to go and a lot of things to see, after all. Make sure you give yourself enough time to rest, though. Take regular breaks when you’re driving, and leave yourself at least eight hours to sleep at night (not including getting ready for bed and waking up). If your schedule is too packed, you could become drowsy when at the wheel, especially if you’re driving in the hot California afternoon sun. If you’re traveling with others who can drive, share the responsibility. Depending on who you’re with, you may want to evenly split up the driving. Even if you want to do most of the driving, have someone else take the wheel for a short while so you can get a little respite. Just a half-hour or hour riding instead of driving can be surprisingly rejuvenating. There will likely be times you want to call someone while you’re driving, perhaps to tell them you’ve arrived, let them know where you are or just have a chat with them. Anytime you’re talking on your cell phone and driving, you should use a hands-free device that meets California’s requirements for hands-free devices. This will not only ensure you don’t get a ticket for talking without a hands-free device, but it will also reduce how distracting your cell phone is. Additionally, you should never text while driving. If you must text, wait until you can safely pull over. When driving a long distance, it can be tempting to shorten the duration of your drive by speeding. Resist this temptation. Speeding isn’t just illegal. It’s dangerous. It greatly reduces the time you have to react to changing road conditions. In 2014, 28 percent of all auto accident-related fatalities were related to speeding. If there is time before your trip, enroll in traffic school. You’ll learn a lot of valuable driving tips that will serve you well both while you’re on your road trip and afterward. 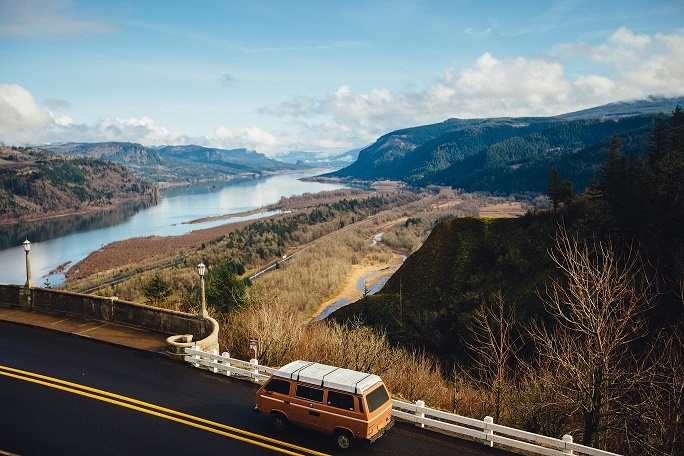 If you’re taking a class specifically in preparation for a road trip, your instructor will be able to tailor your instruction to the driving conditions you’re likely to see on your trip. If you don’t have time to go to traffic school before your road trip, consider enrolling in a class when you get back. You’ll still get great advice and practice. As an added bonus, if you happen to get a CA traffic ticket on your trip, enrolling in traffic school could also help with your ticket dismissal request. As you join the many people on the road this summer, keep these safety tips in mind. They’ll help make sure your trip is fun, and you don’t have to change any plans because of an accident.